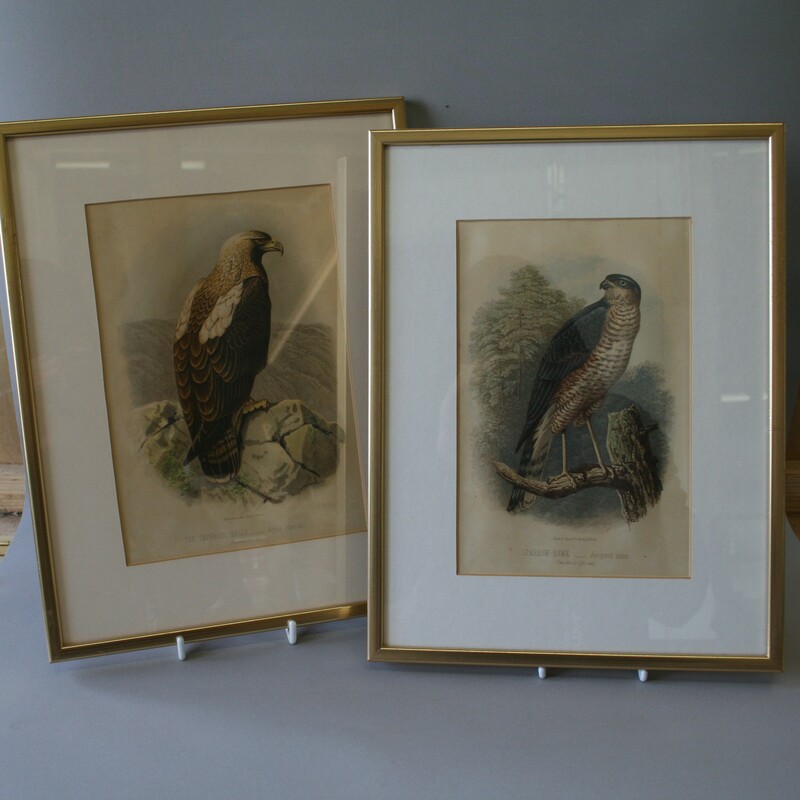 A pair of Victorian prints depicting Birds of Prey. One is a Sparrow hawk and the other is of an Imperial Eagle. 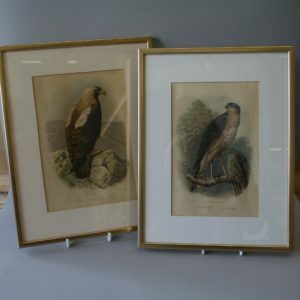 The prints are set in a modern gilt frame.